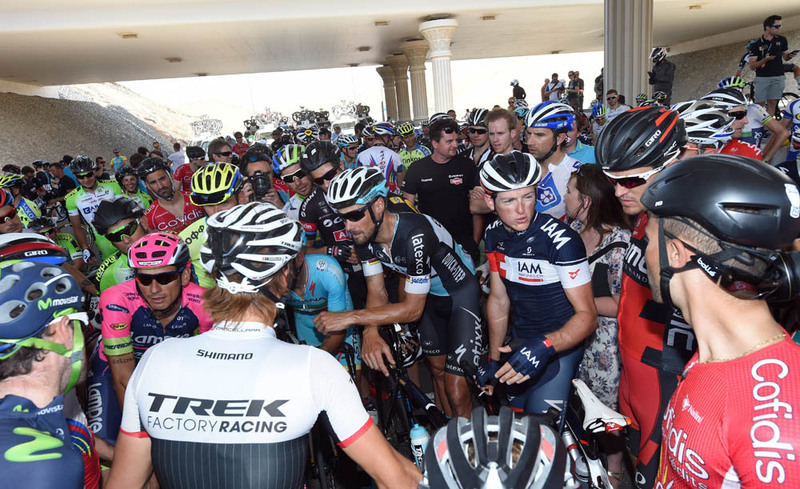 Stage five of the 2015 Tour of Oman drew to an early conclusion on Saturday after extreme weather conditions led to the riders appealing to the race organisers to cancel the stage. 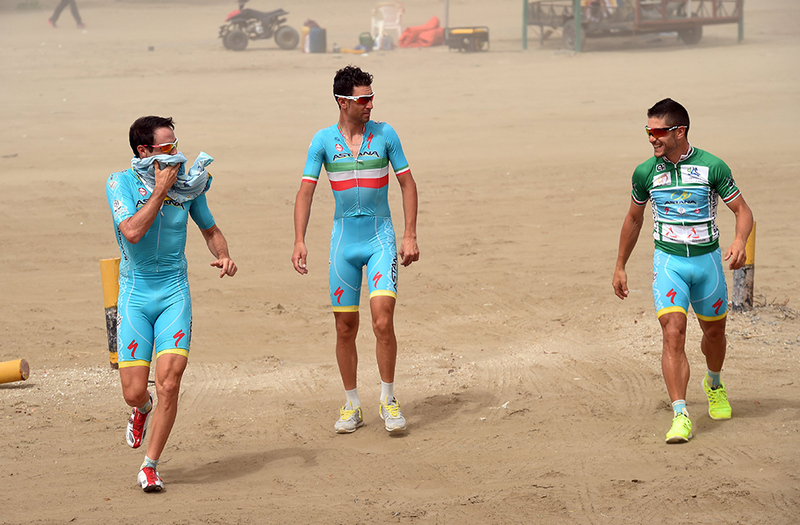 The day started with a sandstorm, and when that cleared temperatures in the open were in the mid- to high-forties. 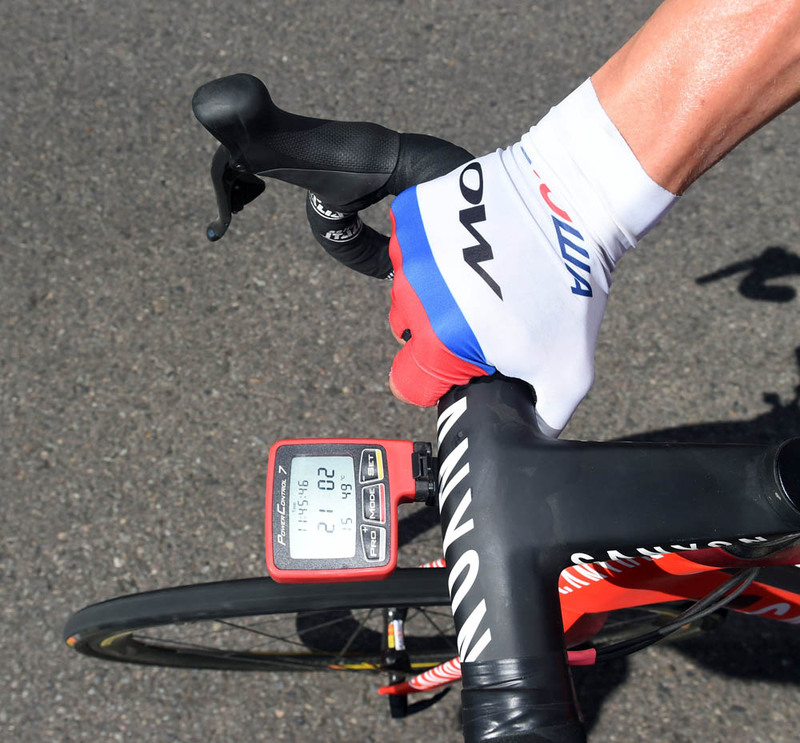 Not only was that extremely uncomfortable for the riders, but it also caused punctures and the tubs to become unglued from some riders’ rims. After sheltering under a road bridge, a delegation of riders including Fabian Cancellara and Vincenzo Nibali talked to race officials, including Eddy Merckx, about what could be done. Although the organisers did not fully agree with the position taken by some of the riders, the upshot was that the stage was shortened and eventually cancelled – with no change in the general classification. Calls were made for the UCI to introduce rules to govern racing in extreme weather conditions to protect the welfare of the riders.